Karan Mirchandani stunned favourite Amit Pal Kohli for the men’s open title, while the latter teamed up with Bhavesh Shah to clinch the doubles handicap, at the Hyatt Regency Mumbai Squash Tournament. 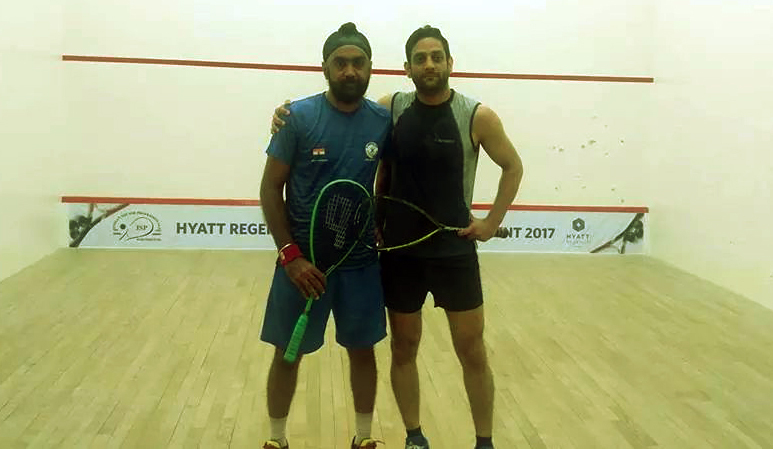 After getting the better of Anil Bhagat in the semifinals, the former turned giant-killer with a 11-6, 5-11, 11-4, 11-4 championship-round victory over Amit Pal, who made amends by winning the doubles, partnering Bhavesh in an exciting 11-7, 11-10 win over Pankaj Gauba and Gulshan Singh. Karan Mirchandani bt Amit Pal Kohli 11-6, 5-11, 11-4, 11-4. Amit Pal Kohli bt Akhil Behl 12-10, 11-9, 9-11, 11-7. Karan Mirchandani bt Anil Bhagat 13-11, 11-4, 11-4. Amit Pal Kohli & Bhavesh Shah bt Pankaj Gauba & Gulshan Singh 11-7, 11-10. Amit Pal Kohli & Bhavesh Shah bt Rajesh Rajani & Vinod Rijhwani 11-10, 11-8. Pankaj Gauba & Gulshan Singh bt Devang Ashar & Sriram Rao 11-2, 8-11, 11-2.